PeÃ±alosa is the inspiring and visionary politician who transformed Bogota, Colombia into a model for sustainable urban transportation. This video, which has been viewed online over 25,000 times, shows examples from around the world of safe urban cycling lanes. Imagine how perfect this would be for NYC!! In June 2006, Transportation Alternatives volunteers staged a â€œParking Spot Squatâ€ in Brooklynâ€™s busy Park Slope neighborhood. The volunteers â€œliberatedâ€ two parking spots, providing a temporary public space that allowed residents to sit and relax. Features members of Portlandâ€™s warm and innovative bike community, where dozens of folks regularly donate a few weekend hours with their bike trailers to help fellow cyclists move their belongings to a new abode. These short films were all produced, shot and edited by Clarence Eckerson, official videographer of the New York City Streets Renaissance. They provided fertile ground for discussion at our event, and for dreams of what our city could look like if it were planned around people instead of cars. With all the changes happening here around the Mayor’s Sustainability Initiative and the new Transportation Commissioner (see Tour de Brooklyn post! 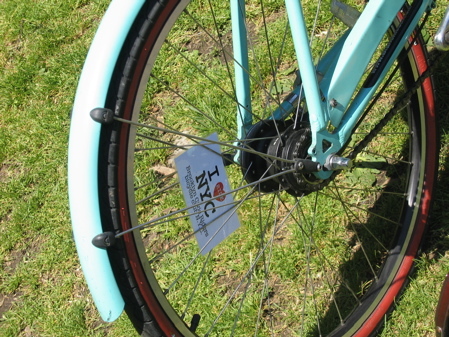 ), dreams of a truly bike-friendly New York City are feeling more attainable than ever before.